The Micromax Canvas Gold A300 is a high-end Android smartphone released by Micromax back in June this year. The device rocks a 5.5-inches FHD display powered by a 2.0GHz octa-core chipset along with 2GB of RAM. So far, I would say this is the most impressive device ever released by the company if you would agree with me. Like any other Android smartphone, we can root Micromax Canvas Gold A300 rather easily using a one-click-root app called Framaroot. 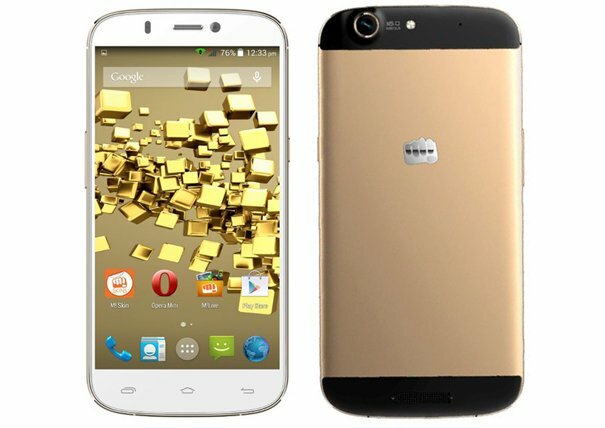 In the following tutorial, I will be guiding you on how to root Micromax Canvas Gold A300 in less than an hour. Make sure there is at least 50% battery remaining on your Canvas Gold A300 smartphone. Back up the Canvas Gold A300 smartphone. Connect the Canvas Gold A300 handset to your PC using an appropriate USB cable. Copy the Framaroot apk from your PC to your device’s SD card. Open the Framaroot on your Canvas Gold A300 smartphone and you should be able to see a screen like the one below. 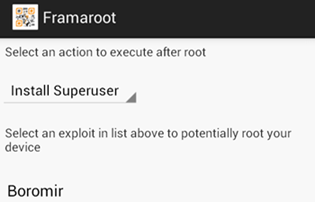 From the Framaroot app, select the Install Superuser option under the Select an action to execute after root section as shown above. 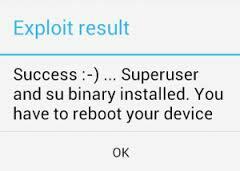 In the next section, choose the Boromir exploit to root Canvas Gold A300. You should be able to see a pop-up like the one above once the program has rooted your device. The process normally takes less than a minute to complete. Finally, reboot your Canvas Gold A300 smartphone immediately. Congratulation! You’ve just rooted Micromax Canvas Gold A300! Now, you’re free to install custom ROMs as well as recovery on the Canvas Gold A300. In the meantime, stay tune for more how to root tutorials!